Realising that the ICT (information and communications technology) sector has a key role to play in reducing CO2 emissions, Swisscom, as Switzerland’s leading telecoms company, makes every effort to structure its offerings in a more energy-efficient and resource-friendly way Tweet This!, providing products and services that help customers reduce their CO2 emissions and save energy. 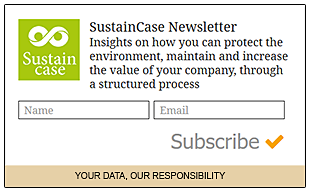 This case study is based on the 2016 Sustainability Report by Swisscom published on the Global Reporting Initiative Sustainability Disclosure Database that can be found at this link. Through all case studies we aim to demonstrate what CSR/ ESG/ sustainability reporting done responsibly means. Essentially, it means: a) identifying a company’s most important impacts on the environment, economy and society, and b) measuring, managing and changing. In its 2016 Sustainability Report Swisscom identified a range of material issues, such as business development, corporate governance, customer satisfaction, data protection. Among these, supporting customers in reducing their CO2 emissions stands out as a key material issue for Swisscom. To identify and prioritise material topics Swisscom carried out a survey among stakeholders that included government authorities, partners and NGOs. 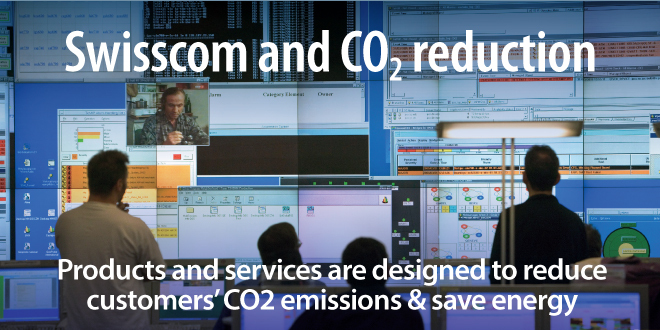 What actions were taken by Swisscom to support customers in reducing their CO2 emissions? In 2016, Swisscom distinguished 42 sustainable ICT services with the “Together we can increase sustainability” label, which designates sustainable products and services that help companies save energy and resources. Data centre services: The Docsafe data centre service allows residential customers to securelystore all their documents in their own personal cloud on Swiss servers. The documents can thenbe managed, accessed from anywhere in the world and shared in encrypted format through a computer,tablet or mobile phone. Dematerialisation as a result of online billing: Online bills are an attractive and environmentally friendly alternative to paper bills. In 2016, the share of customers who chose to receive their bill online increased from 25 per cent in 2015, to 31.5 per cent. In its communications with customers, Swisscom highlights the fact that online billing not only benefits the environment, but also saves the customer time and money. Note to Swisscom: With each case study we send out an email requesting a comment on this case study. If you have not received such an email please contact us.